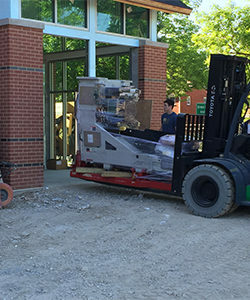 It’s not every day that we get the chance to unwrap new toys. And, over the last week or two, the PetCure Oncology at Lakeshore Veterinary Specialists team has been doing just that. We are getting closer to the grand opening of our fourth location. 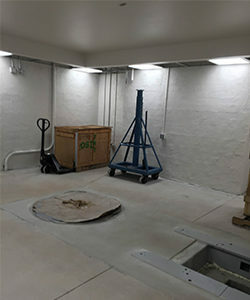 If you missed the news back in January, we have partnered with an exceptional veterinary specialty hospital in the Milwaukee, Wisconsin, area to provide advanced radiation therapy. The new site joins our network of locations in Phoenix, Arizona; Cincinnati, Ohio; and Clifton, New Jersey. 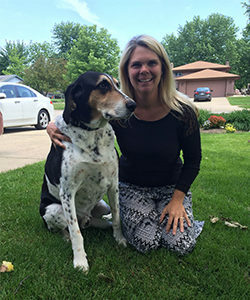 Lakeshore Veterinary Specialists is independently owned and operated, offering 24/7 emergency/critical care and specialty services at three locations in southeast Wisconsin: Glendale, Oak Creek, and Port Washington. Not only is their team talented and experienced, they are also philosophically aligned with PetCure’s commitment to collaboration, innovation, human-caliber quality control and client-centered service. I truly enjoyed meeting the members of their team when I recently visited their Glendale location – where our new PetCure Oncology practice will be located. A couple of weeks ago, we also added a wonderful new program director to our team. Sue Wojciechowski brings much more than just alphabet-friendly last name to the table. She also has a great passion for helping pets, a tremendous knowledge of the veterinary industry, and a contagious, uplifting personality. Sue is the newest member of a team that will be driven by Dr. Neal Mauldin, PetCure’s Chief Medical Officer (and one of the most experienced veterinary radiation oncologists in the world), and Dr. Rachel Reiman, Lakeshore’s accomplished and well-respected, board-certified medical oncologist. A radiation therapist licensed in human medicine will also be joining the crew in the next couple of weeks. 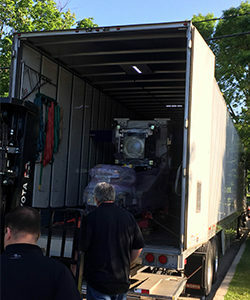 Last week, Sue was on-site with the team in Milwaukee as our linear accelerator was delivered. 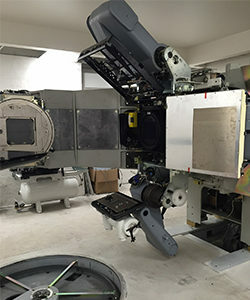 Called a “LINAC” for short, it is the machine that our team will use to deliver stereotactic radiosurgery (SRS) and other forms of advanced radiation therapy to pets with cancer. It is big. It is heavy. It is complicated. That’s why we make sure experienced professionals who are properly trained and certified are the only ones who operate the machine. 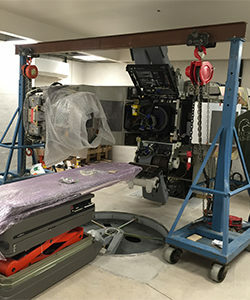 Furthermore, the LINAC had to be delivered piece by piece and brought into the vault before being constructed. It’s like a high-tech puzzle of medical innovation. 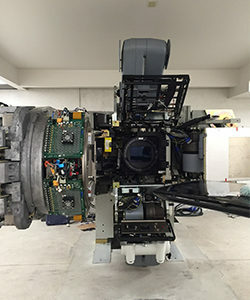 I know from experience how amazing it is to watch a LINAC in action. At the same time, I assure you that this awe-inspiring experience pales in comparison to just how extraordinary it is to meet the pets and pet owners whose lives have been changed by the SRS treatment it delivers. As we get closer to the finish line at our new site in Milwaukee, I look forward to seeing everything come together. And I hope you do, too! Follow our Facebook page to be updated on the progress. This personal blog entry was contributed by Ben Chiswick, PetCure Oncology’s Director of Operations and the proud pet parent of Bandit, a 7-year-old Australian Cattle Dog.